This expert advice for web developers will help give you that competitive edge. While it can be difficult, or at least time-consuming, to develop hard skills from scratch, it’s certainly not as difficult to hone your skills (including those softer skills) to get a competitive edge. 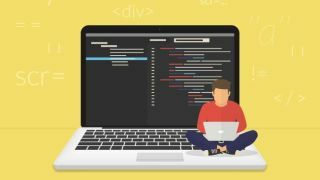 Learning can take many different forms, so aside from harnessing the latest and greatest web design tools, what can the web developers of tomorrow do to get ahead? Harold Dost, principal consultant at Raastech, suggests that young developers take some time to look at tools such as Lynda (now called LinkedIn Learning) or Linux Academy. He stresses that tools such as these can be used to develop a strong foundation of knowledge on a key topics and can help you on your journey in becoming an expert. He also thinks that even though his industry is all about new technologies, good old fashioned reading will always be the most important part of education. 03. Take up meditation. No, really. Perhaps the most frustrating thing about working in IT and tech is the non-stop nature of the industry. It’s easy for those just finding their feet in a constantly moving world to feel overwhelmed. Author Sten Vesterli says that the most critical skill to learn is “to manage your energy, and find ways to replenish it when it's running low." Phil Wilkins, author and senior consultant at Capgemini, thinks that sometimes the tech industry is a bit quick to move onto the next fad. He says that as graduates gain experience, they should challenge the work they are doing and the tools they are using to make sure that they are always trying to influence things for the better. Not only will this help new developers stand out to their employers, but it will help them learn. It’s a frustrating stereotype that that tech types aren’t social beings. One tip suggested by Packt’s experts was to realise that putting yourself out into the real world is a great way to get ahead. As cliché as it is, networking is a simple way of getting a foot in the industry. Whether you attend events organised by your university of college, or connect with people who interest you on LinkedIn, networking is a crucial skill – particularly if you ever consider going freelance. Ward says that aside from writing, he has one other crucial bits of advice for graduates: network. “Just get involved with the community,” he says. Not sure how? Read our advice on how to network. Robert van Mölken, author and senior Integration and cloud specialist for AMIS, says that graduates seeking employment should actively look for companies that invest in their developers to keep them up to date with innovations.